The Compressport Pro Racing V3.0 low cut running socks give you a biomechanical advantage with a barely there feel. Virtually invisible while providing a sensation of weightlessness, they're your secret weapon to performing at your peak. 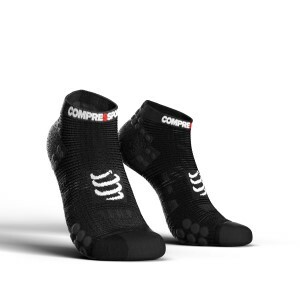 This is a popular, ultra-lightweight compression sock for everyone from elite athletes participating in marathons and triathlons to recreational runners that do it for the love of fitness. 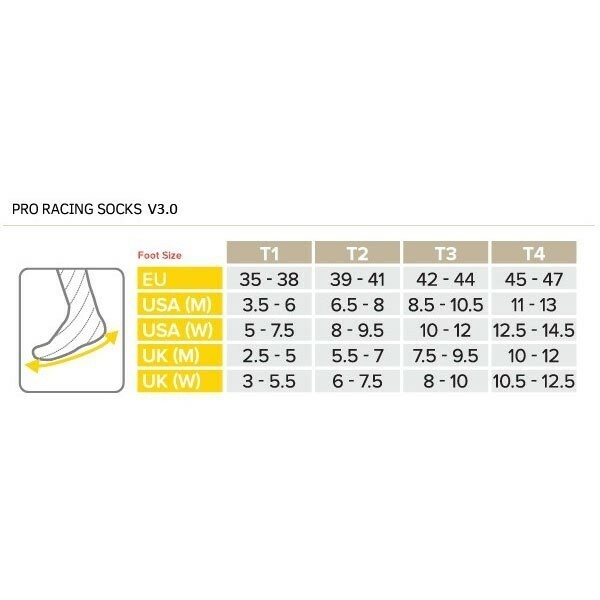 What’s the secret that makes these technical socks the ones to beat? They feature cutting-edge technologies to maximise comfort and performance, ensure optimal circulation and improve recovery. This essential update delivers superior protection, aeration and allows you to run free of soreness and fatigue for longer. - Versatile to meet the demands of runners, marathoners and triathletes. - Thin design moves with you like a second skin. 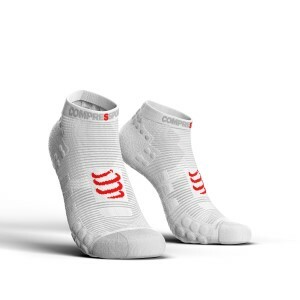 - Ultra-ventilation mesh with breathable weaving keeps your entire foot in cool and dry conditions. Feet remain feeling light with the improved air flow. - Multi-functional 3D dots are strategically placed for shock protection and absorption, ventilation and slip-proof traction. They minimise pressure and friction of the Achilles tendon. - Pressure relief around your calf thanks to the top band that’s free of elastic and seams. - Maximum air flow and comfort from ventilation stripe design. 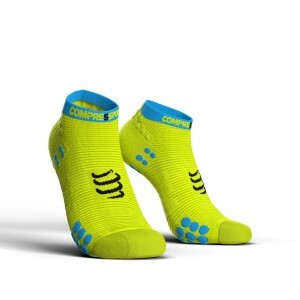 Eliminates hot spots to prevent your feet feeling like they’re on fire during prolonged workouts. - Seamless toe box for protection against blisters and to reduce friction. Wraps your toe without squeezing or placing pressure on your foot. It leaves plenty of room for toes to splay naturally and provides reinforced protection of the big toe. - Arch compression reinforces your arch and triggers blood circulation with an ergonomic and anatomically correct fit. It holds your foot securely and assists in postural strengthening. - OEKO-TEX certification - produced with zero harmful chemicals and fibres to support the health of your skin.